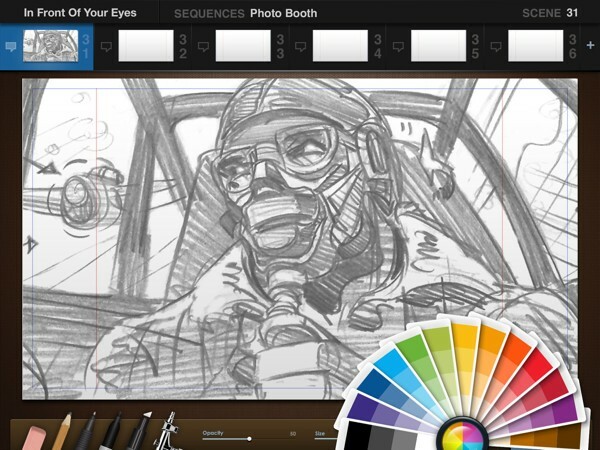 We first covered SketchPad Pro, the awesome looking storyboard app from Tikibone, in October of 2010. Back then, we reported it was coming soon. Now, we’re happy to tell you that it’s almost soon! But, before SketchPad Pro hits the App Store, Tikibone needs your help. To that end, the app now has its very own Kickstarter campaign! If you’re a storyboard artist (or aspiring to be one), and have been waiting for this puppy to be released, please consider helping Roger and Scott raise the money needed to finish development, and secure publishing. After watching their Kickstarter fundraising video below, make sure to check out their campaign! @HHHollywood is there a way to play an iPhone video in reverse at regular speed? Thanks! @joeynuss A few apps in the app store for this. Check out Backwards Cam. Haven’t used it, but it has mostly good reviews.